CheapOair is introducing its first-ever TV campaign as the online travel agency seeks to increase its visibility and user base. The company is also embracing its "cheap" name by forgoing a traditional outside agency. Parent company Fareportal "works on a lean budget," says vice president, branding's Kathi Moore. Her agency background enabled the company to take most of the creative development process in-house, including consumer and customer research, as well as strategic brief development. Then, Fareportal worked directly with production house Rogue to "point the largest share of the budget to direct creative and production costs," Moore says. 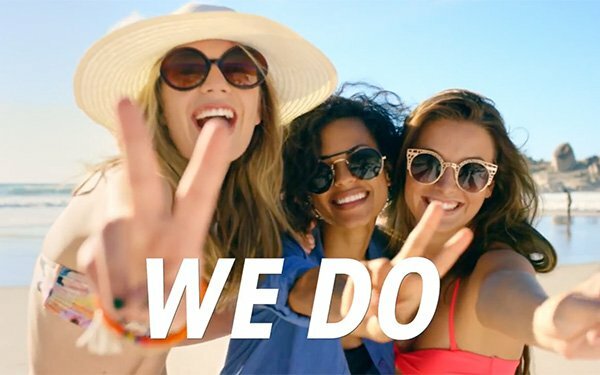 CheapOair's “Go Ahead, Be Cheap” ad suggests how “cheap” means value through a series of travel-centric images and a voiceover explaining the platform. The TV spot airs nationally on cable during prime time, early morning, and early fringe. "Our media buy is focused on high-impact, high audience day parts," says Moore. This campaign is targeted for both English speakers and Spanish speakers as they are the two largest markets in the U.S. "We actually have a call center based out of Mexico City catering to our Spanish customers, and are always looking to grow our presence in the market as well," says Moore.